In our previous post, we share research from Katzenbach – the ‘teams master’ on 5 fundamental factors that help teams succeed. 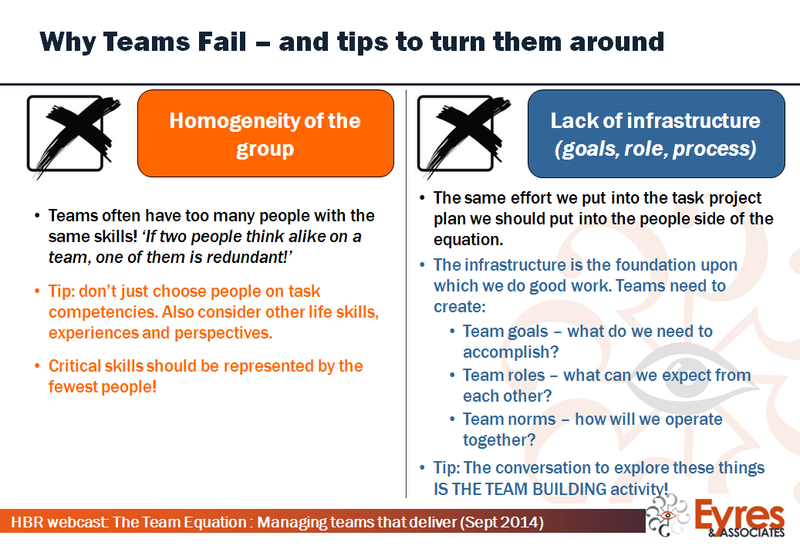 A recent HBR webcast by Mary Shapiro (Sept 2014), took this one step further and provided case study evidence about why teams fail. 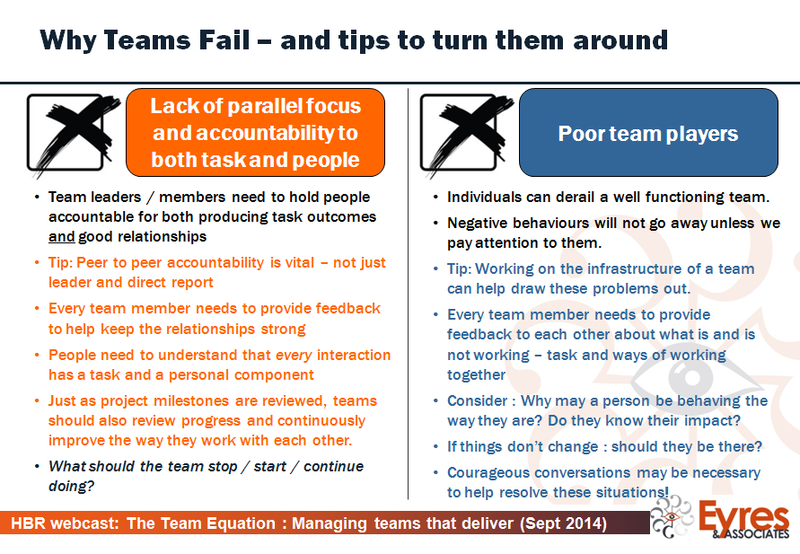 The webcast also provided proven strategies leaders and teams can implement to turn their teams around.